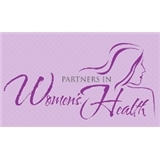 Partners in Women's Health (Jupiter) - Book Appointment Online! Welcome to Partners in Women’s Health. If you’ve been looking for a Jupiter OBGYN, you’ve come to the right place! We are dedicated to providing the most state of the art healthcare for women, in a caring, compassionate and private setting. All of our doctors are board certified and we can handle the full range of obstetric and gynecological issues. We look forward to serving as your Jupiter OBGYN! Great appointment! Will definitely see her again.